On-site at Palmer Station, Antarctica, one of the most climate-vulnerable places in the world. Emmalina Glinskis is an environment/politics journalist and researcher focusing on climate change adaptation, science and energy policy, natural resource management, and environmental activism on a local to global scale. She is currently working as an editorial fellow at The Nation in her native New York City. Her reporting, editing, and production work can be found in VICE News, Columbia Political Review, The Gate, and Consilience: The Journal of Sustainable Development. Formally trained at Columbia University in Environmental Science, she conducted various research examining ecological and socio-political drivers for land use change, environmental degradation, deforestation, and food insecurity especially within local communities in the tropics. 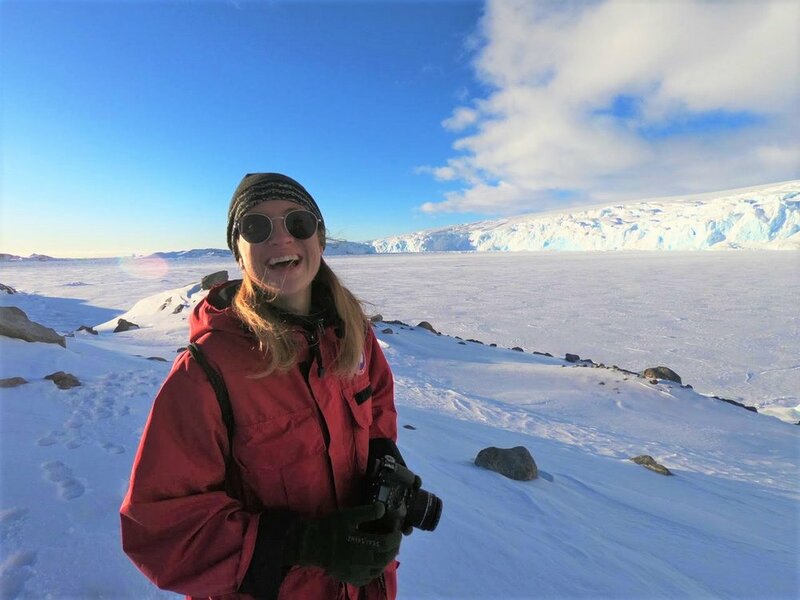 Her past affiliates include the U.S. Antarctic Program, The Earth Institute, Argonne National Laboratory, Lithuanian Ministry of the Environment, and The Nature Conservancy.